Embark on a once in a lifetime wolf tracking wilderness adventure - follow the footsteps of the mysterious wolf and its prey, stay in a rustic refuge high in the mountains and enjoy nights of campfire cooking and storytelling under the stars. This is truly a once in a lifetime holiday following the tracks and signs of the wolf, one of the most elusive and discreet predators in the world. Wolves have had a tumultuous history in Europe - during the 19th and 20th centuries they were considered pests and were nearly completely wiped out. 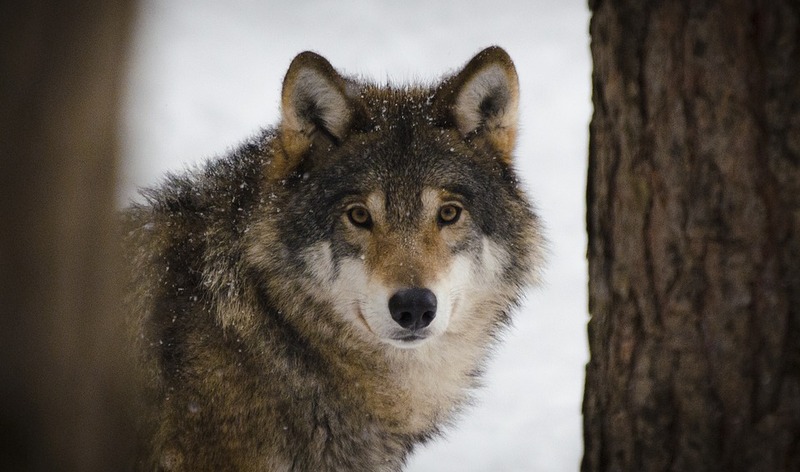 However, thanks to international conservation laws introduced in the 1970s, wolf numbers have made a gradual recovery and individuals migrating from the Italian population have now settled back in French territory. With wild mountains rich in prey animals like chamois, mouflon, wild boar and deer, the Southern Alps provide ideal wolf habitat and are now home to the highest concentration of wolves in France. You'll embark on a four day fully-guided adventure following tracks and signs of wolf activity, offering a rare insight into the lives and behaviour of the wolves' prey. For the last 20 years your high-mountain guide and tracker Bernard has been following the colonisation of the wolves, so he'll provide you with a wealth of local knowledge about these elusive animals. You'll also get lots of opportunities to stop to watch local wildlife and interpret wolf signs, which may include howling, footprints, dung and the remains of animal carcasses. Although Bernard will use all his expertise to follow these clues, this population of wolves are wild, roaming hunters with huge territories, so we can't guarantee you will actually see or hear any wolves. However, all signs of wolf activity that we do find will be recorded for monitoring and research, so as you enjoy your holiday you'll contribute to the conservation of these amazing creatures. Whether you're a budding photographer or amateur wildlife spotter this unique holiday will be one to remember. 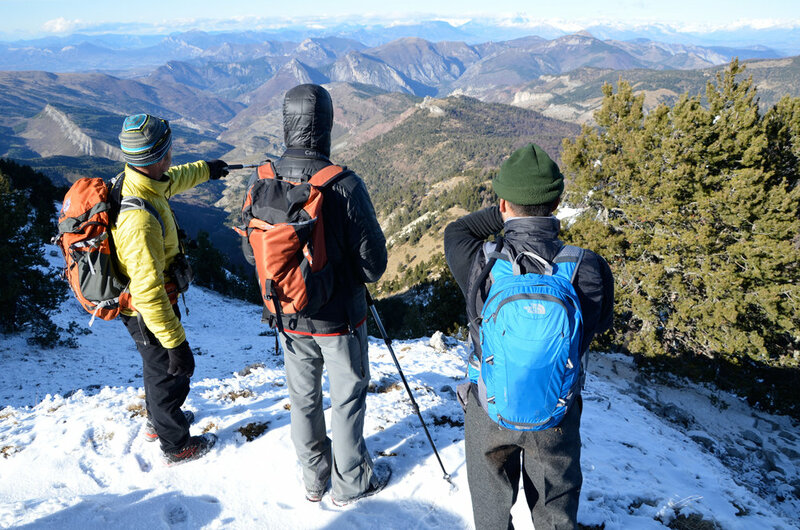 This trip is suitable for all - no experience is necessary but you will be trekking up to the refuge in the mountains and have long days out walking and tracking wolves. We've planned this trip date to coincide with the best time to track wolves and maximise your chance of seeing them. When there is a little bit of snow on the ground it will be easier for you to follow signs and tracks over long distances. We've also kept the group size small at 8 people to minimise impact on the wildlife and their habitat. Saturday 30th March: You'll arrive at Marseilles airport in the morning (see recommended flights below), and you'll be collected as a group and driven by minibus to meet Bernard at a mystery location. Wolves are still controversial so we have to keep the actual locations secret. You will eat lunch as a group and spend some time sorting out kit for the next few days, after which you'll begin the walk to the refuge, looking out for wolf signs along the way. Once at the refuge, you'll collect water and wood supplies and set up your sleeping arrangements inside. Any intelligence you have gathered en route will be analysed over a candlelit supper that you'll cook as a group. Depending on timing and conditions you might even be able to venture out and try some wolf howling to try and start up communication with them! Sunday 31st March: Today is your first full day of wolf tracking, following Bernard as he decides on the best route. You'll prepare breakfast and picnic lunches together before setting off, keeping a beady eye out for signs of all the different animals living in the wolves' territory. You will learn how to identify and interpret their prints - whether they are fresh or old, running, walking or ambling, you'll see what food they eat, where they drink and perhaps even discover their favourite places... all of which will help to locate and understand the wolves better. If you find fresh wolf prints you'll follow their tracks and see whether the wolves are running or walking, playing or resting, how many there are, what they're looking for and where they're going... By the end of the day you will have a really good insight into the behaviour of the wolves and mountain wildlife. You'll spend the evening back at the refuge for a second night of camp cooking and stories around the fire. Monday 1st April: A second day of adventure in wild wolf country! After breakfast you'll set straight off looking for any wolf signs to pick up and follow. Although the chance of actually seeing a wolf is rare, it is usual to hear wolves howling and you are highly likely to find a good variety of signs. As you learn to interpret what you find, the secret world of the wild Alpine animals and birds will come alive and you'll see things you never would have noticed previously. That evening you'll share another camp-cooked meal together at the refuge and reflect on your experiences. Tuesday 2nd April: You'll spend the morning packing up and taking a leisurely walk back down to your minibus, still looking out for any new wolf signs along the way. After a final lunch together you'll get your transfer back to the airport, taking some unforgettable memories with you. You can download our recommended kit list for this adventure HERE. For outbound flights on Saturday 30th March, you’ll need a flight that arrives no later than 11am at Marseille Airport. There are flights from London from British Airways and RyanAir, arriving at 10:30am and 09:55am respectively. For return flights on Tuesday 2nd April, please look for a flight that leaves after 8pm so that you can make the most of the last day tracking wolves. Our recommended flights back to London are with British Airways and RyanAir, both departing at 9pm.